The price continues moving upwards slowly. 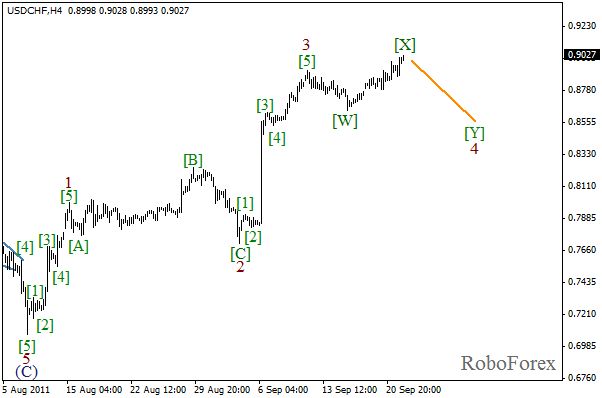 Most likely, this movement is wave [X] inside double three pattern of the fourth wave. In the near term, we can expect the price to stop growing and start falling down inside wave [Y] of 4. 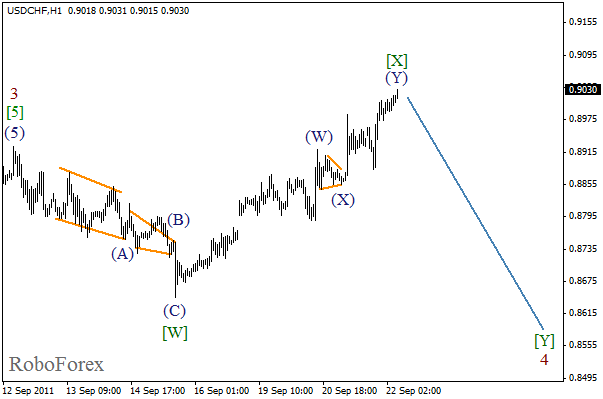 It looks like wave [X] is taking the form of double zigzag pattern. On the minor wave level we can see that wave (Y) is almost completed. The forecast of the price movement is shown on the chart. We also can expect the start of wave [Y] during the day. As we expected earlier, after completing wave (B) the price started moving downwards. Most likely, the price will reach a new local minimum while forming wave (C) of [Y]. I’ve moved stop on sell order into the black, so now the risk is minimal. 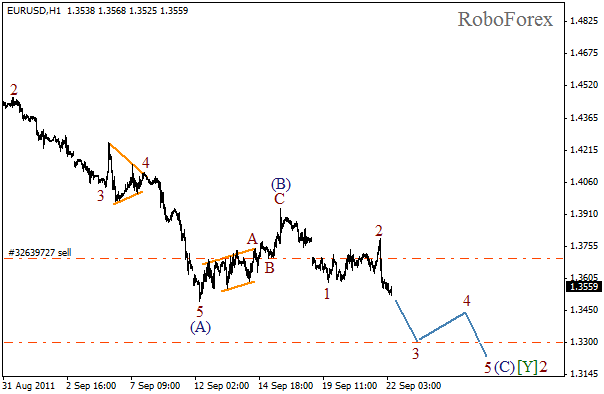 We may assume that after rebounding from the gap’s upper border the price started the formation of the third wave. In the near term, we can expect the price to continue moving downwards. 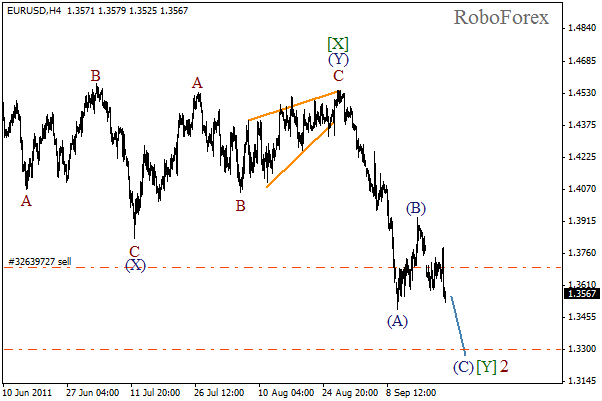 The target is still the level of 1.3300.